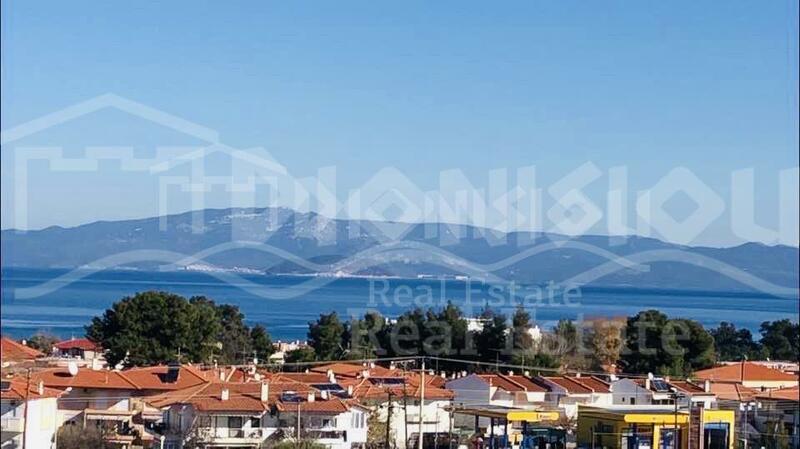 Luxury houses are located in a suburbs of a popular tourist village named Hanioti only 150 meters to nice sandy beach. 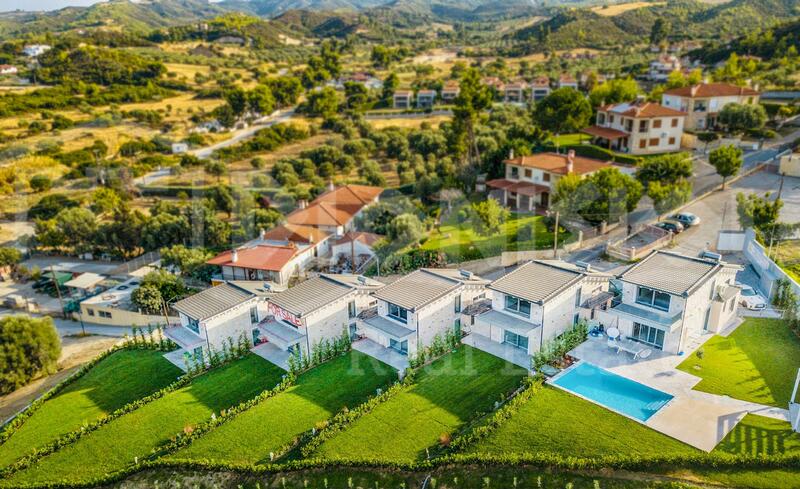 There are 4 villas in a luxury. 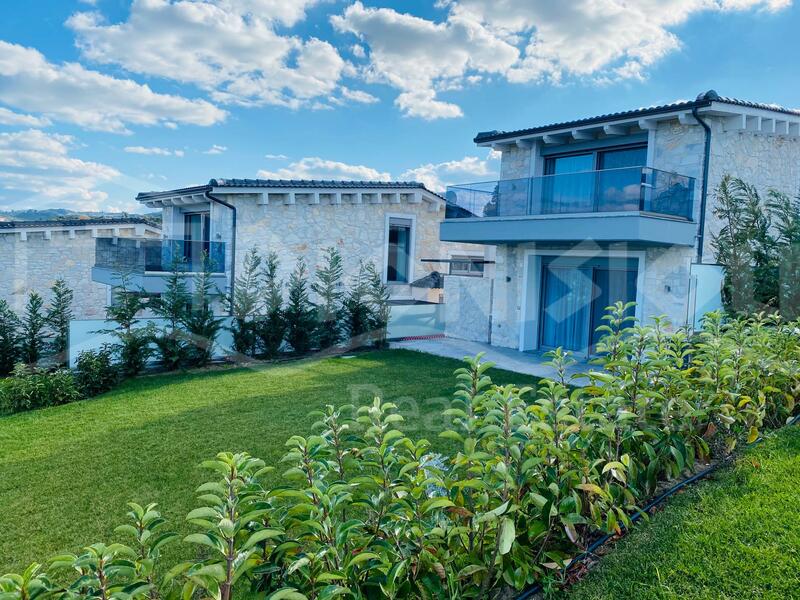 The villa has a private garden 100 sq. 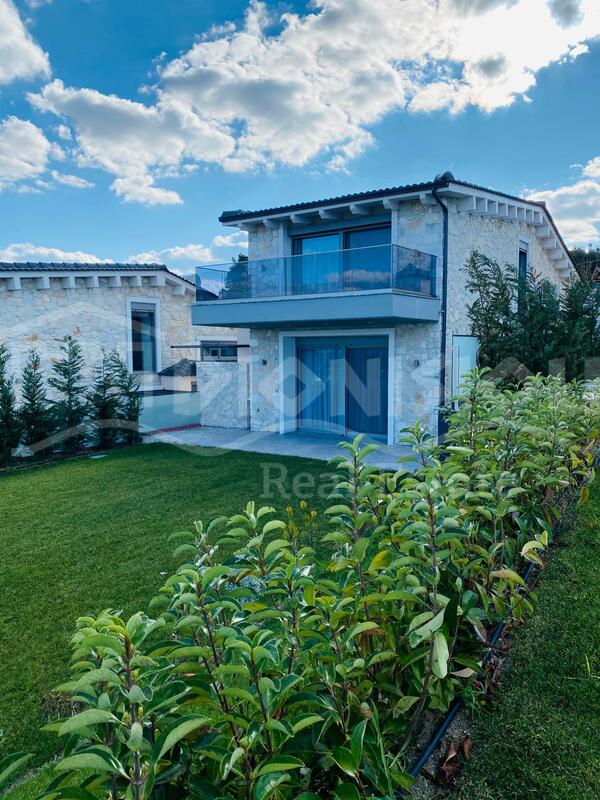 meters land, a private swimming pool and a parking. 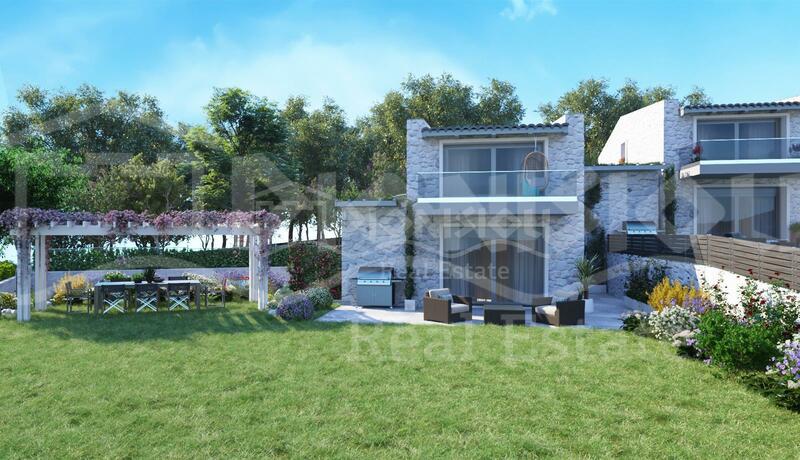 The villa consists of a living room and a kitchen, 3 bedrooms and 3 bathrooms. 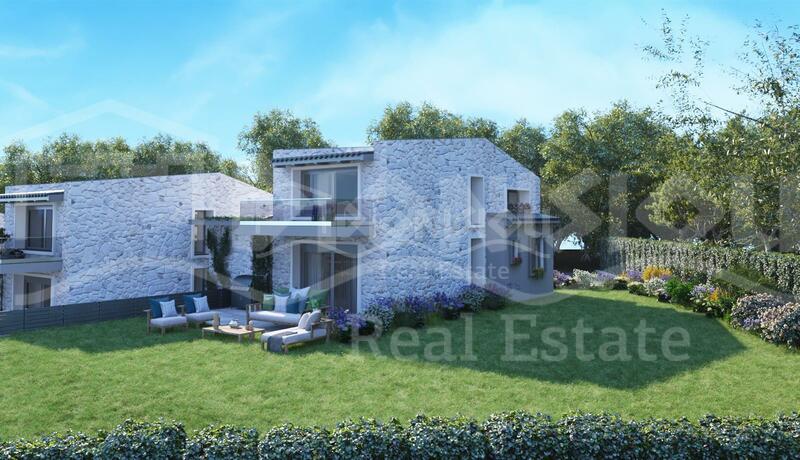 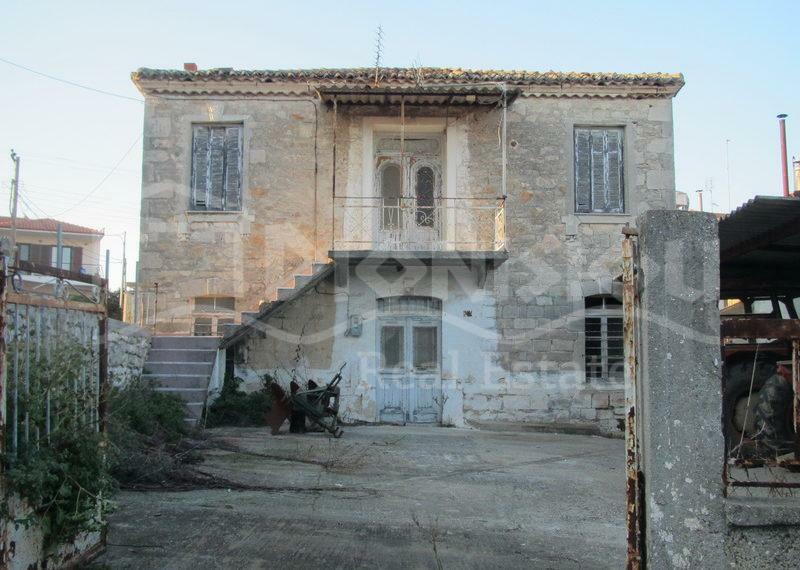 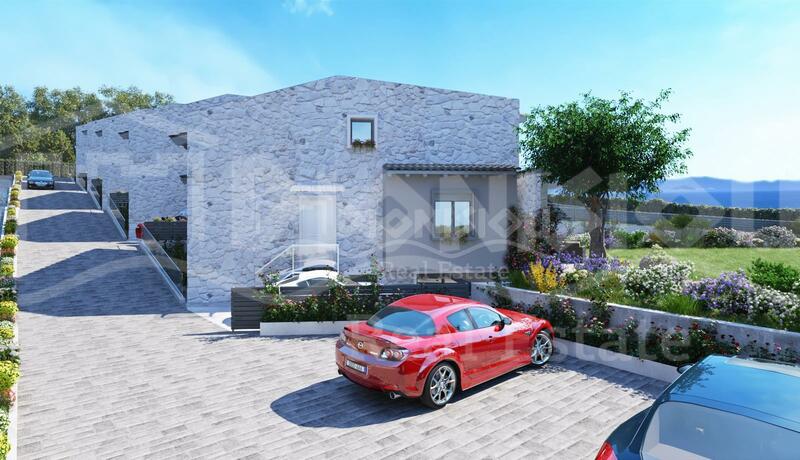 The price for corner villas with larger piece of land is 500 000 euro, with the smaller one – 450 000 euro. 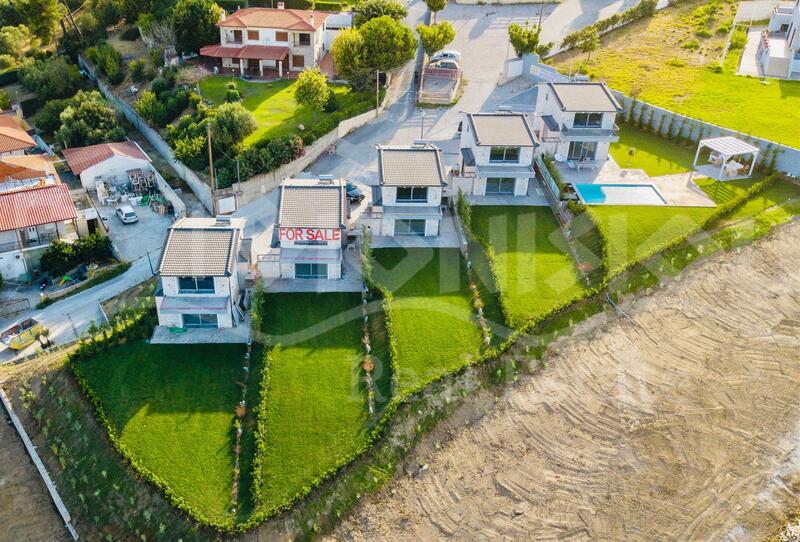 The villa is built with famous natural Afytos stones.